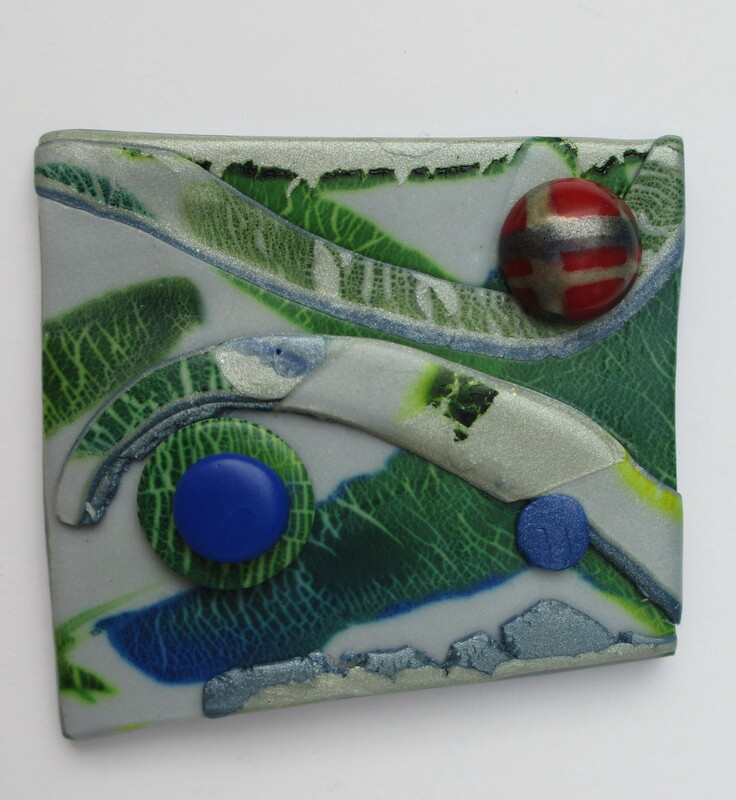 Today’s polymer clay post explores surface design. 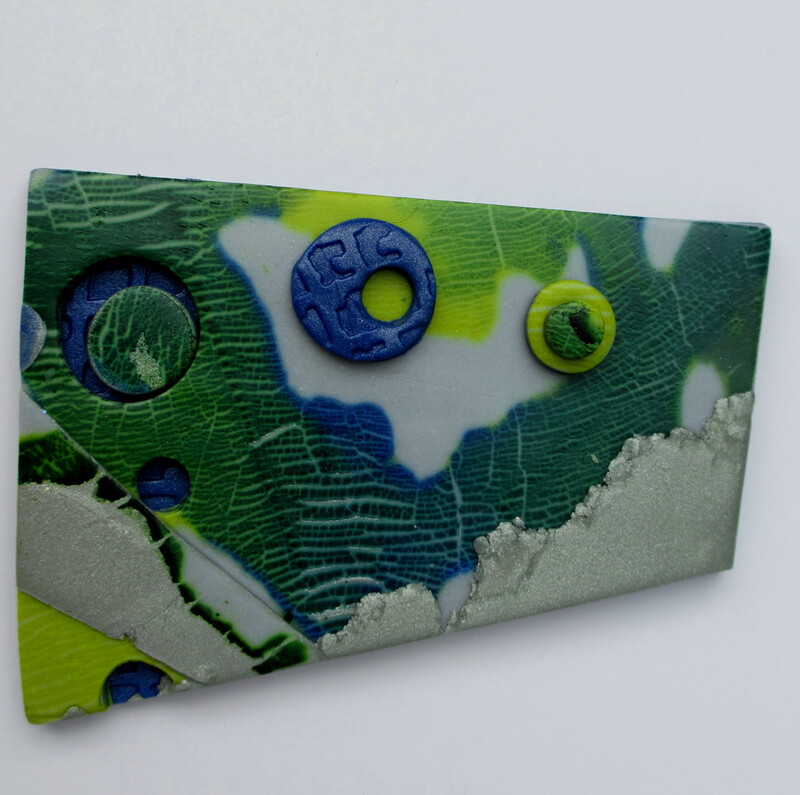 In previous posts, I’ve discussed the ability to make impressions on a layered block of polymer clay using a variety of tools and rubber stamps. The imprinted layers of a block of clay is an attempt to adapt Mokume Gane or “wood grain metal” a Japanese metalworking technique. 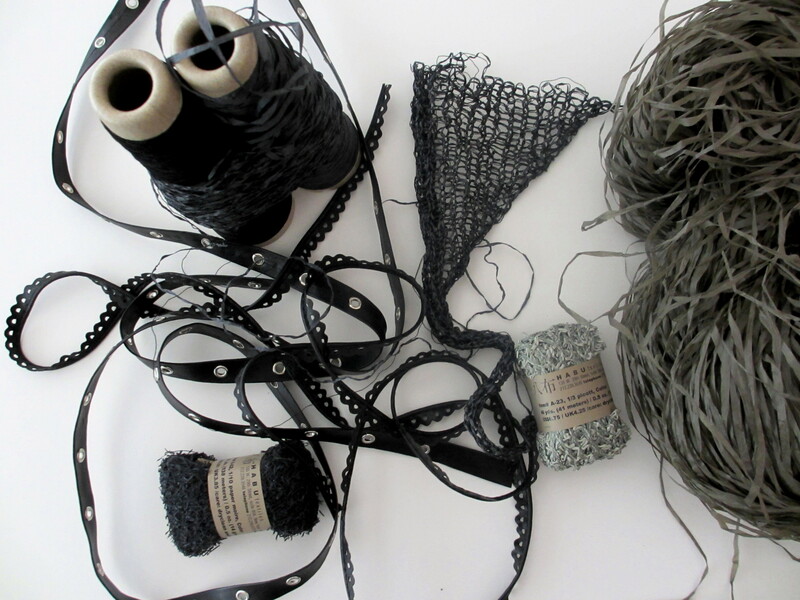 Yesterday, I had a discussion with Andrea Chebeleu, the owner of A Work of Heart about the experimentation process vs. producing an end product. I believe, it’s necessary to gather a wide variety of process driven experiences, in order to develop a subconscious database of knowledge. Taking Myself To Camp (blog posts 1, 2 and 3), did just that. My plans were to adopt and adapt the various surface design techniques to polymer clay. 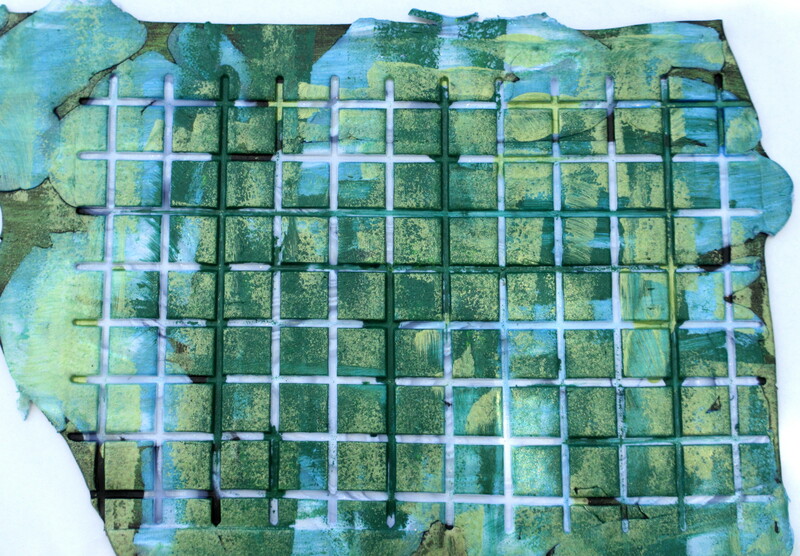 Instead of imprinting the polymer clay with tools or rubber stamps, I manipulated the clay replicating wood grain. 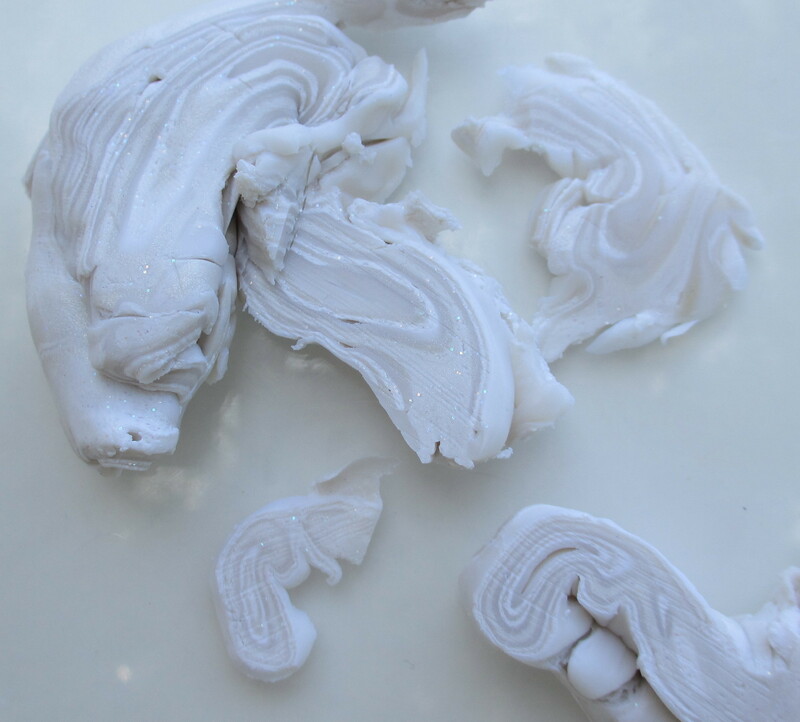 Sliced portions were applied to a conditioned piece of clay. 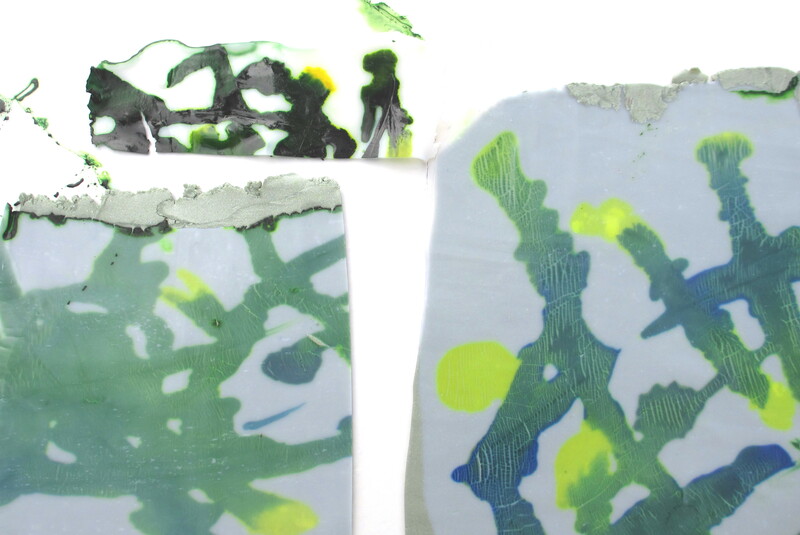 After using a texture sheet, Lumiere metallic acrylic and opaque acrylic paints an interesting textural surface appeared. After the paint dries, something amazing will happen.